AutoCheck Certified Accident Free! One Owner Vehicle! All Wheel Drive! Executive Package! Driver's Assistance Package! M Sport Package! BALANCE OF FACTORY WARRANTY APPLIES! 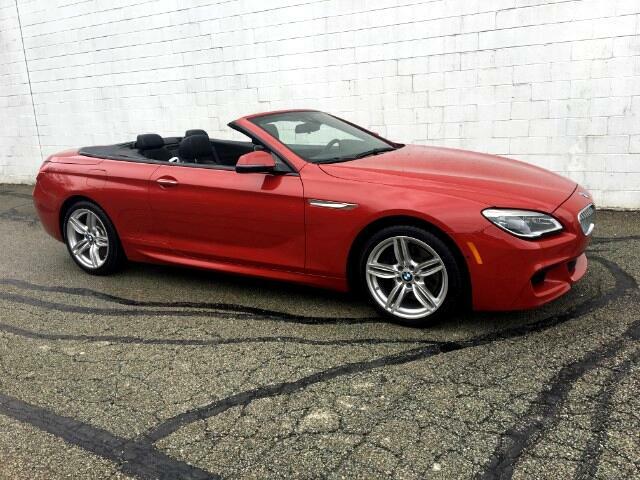 Don't miss out on this hard to find BMW 650i xDrive all wheel drive luxury sport convertible coupe! With it's 4.4L V8 TwinPower Turbo engine matched with an 8 speed automatic sport transmission, this BMW 6 Series 650i xDrive all wheel drive convertible coupe gets an EPA estimated 24+ MPG highway! Very well cared for inside and out by it's one previous owner! New Land Rover trade in! Go anywhere in any type of weather with it's all wheel drive system! Very well equipped with M Sport package, Executive package, Driver Assistance Package, full power group, dual power heated and cooled leather memory seats, premium Harmon/Kardon stereo, power convertible top, Active driving assistance, blind stop assistance, Navigation, back up camera, premium M sport alloy wheels and SO VERY MUCH MORE! Call for further details. FREE 1 YEAR MAINTENANCE, lifetime state inspections & BALANCE OF FACTORY WARRANTY APPLIES! See salesperson for complete details. Give us a call today at Choice Auto Sales for your personal showing and test drive of this fantastic BMW 6 Series 650i xDrive M Sport convertible coupe! Message: Thought you might be interested in this 2016 BMW 6-Series.